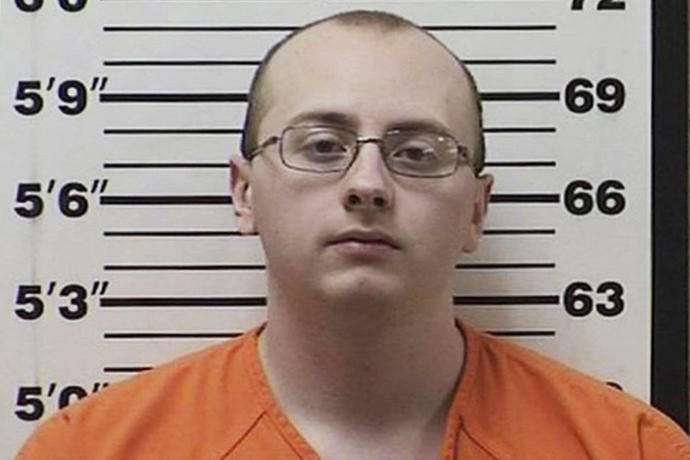 BARRON, Wis. (AP) - A Wisconsin man suspected of abducting a 13-year-old girl made up his mind to take the teen when he spotted her getting on a school bus, and he made two aborted trips to her family's home before finally carrying out an attack in which he killed Jayme Closs' mother in front of her, according to a criminal complaint filed Monday. Prosecutors charged Patterson on Monday with kidnapping Jayme and killing her parents Oct. 15 near Barron, about 90 miles northeast of Minneapolis. He was also charged with a count of armed robbery and was scheduled to make his first court appearance later in the day. He said he assumed he had gotten away with the slayings and kidnappings after the first two weeks went by. He told detectives that on the night he kidnapped her he put stolen license plates on his car, disabled the dome light and removed an anti-kidnapping release cord from his trunk. He also shaved his head so he would not leave any hair behind and chose his father's Mossberg shotgun because he thought it was a common model that would be hard to trace.